Nelson Cruz and the Baltimore Orioles had the good fortune of avoiding Cy Young Award winner Max Scherzer during the regular season. Or maybe it was the other way around. In his 2014 debut against the hard-hitting Orioles, Scherzer found out quickly that a poor pitch can go a long way -- in the other direction. Cruz and J.J. Hardy homered, and Baltimore hammered out 12 hits in defeating Scherzer and the Detroit Tigers 12-3 Thursday in the opener of their AL Division Series. 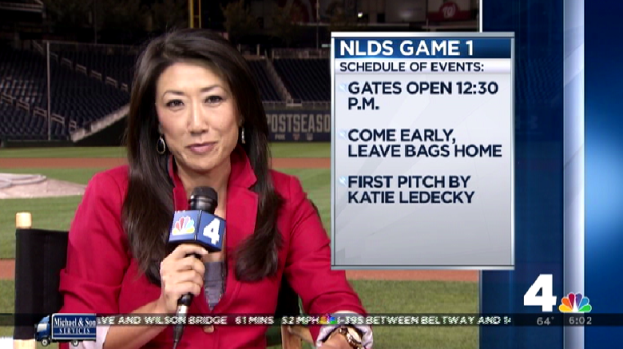 Here's what you need to know if you're heading to Nats Park on Friday afternoon for Game 1 of the NLDS. "I just left too many pitches up," Scherzer said. "This is a great-hitting ballclub. You give them a chance to extend their arms, they can really hit it." Jonathan Schoop and Alejandro De Aza each had two hits and two RBIs for the Orioles, who turned a close game into a rout with an eight-run eighth inning against Scherzer and three ineffective relievers. 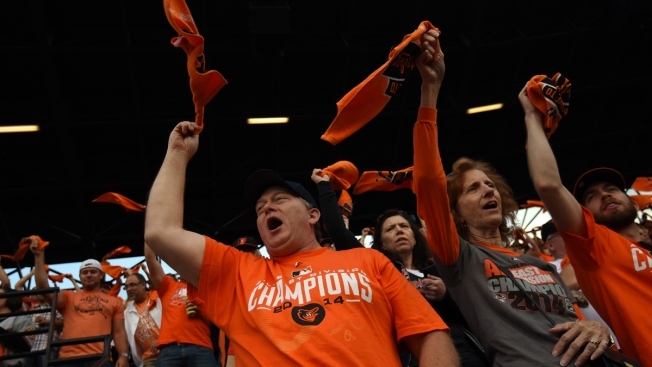 The 12 runs set a postseason record for Baltimore, making its second playoff appearance since 1997. Game 2 in the best-of-five series is Friday at Camden Yards. Justin Verlander, the second of three straight Cy Young winners the Orioles will face, is set to pitch against left-hander Wei-Yin Chen. Verlander must avoid the mistakes made by Scherzer, charged with five runs and seven hits in 7 1-3 innings. The right-hander was 18-5 during the regular season, but in this one he was burned by the long ball and outpitched by the Orioles. "I've got to find a way to get the ball down," Scherzer said. "I wasn't quite able to do that tonight, and I paid for it." 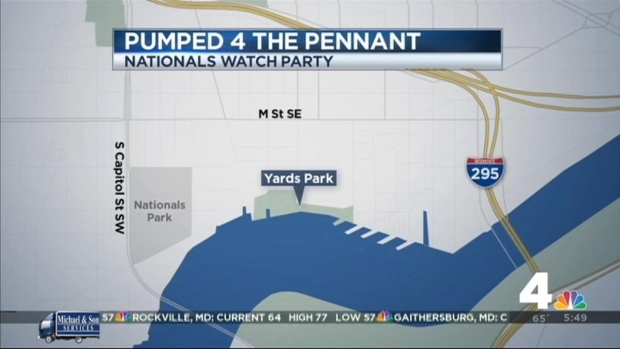 The Yards Park is hosting a celebration featuring food, live music, and a chance to watch the game on TV if you haven't gotten your hands on the hottest tickets in town. Cruz led the majors with 40 homers during the regular season, a good portion of Baltimore's big league-best 211 long balls. His first-inning drive off Scherzer put the Orioles up 2-0 before Detroit's Victor Martinez and J.D. Martinez connected off winning pitcher Chris Tillman in the second to tie it. But Baltimore had too much firepower for the Tigers. Hardy led off the seventh by driving a poorly thrown changeup from Scherzer over the left-center wall for a 4-2 lead. "The one that stings is that J.J. Hardy home run," Scherzer said. "That home run really changed the game in my eyes, gave them that insurance run." Cruz added his third RBI with a single during a wild eighth inning keyed by a Detroit error that kept the boisterous, orange-clad crowd of 47,842 on its feet. Five different Orioles finished with two hits. Clearly, facing Scherzer was not too daunting a task. "It's the same game," De Aza said. "Yes, this is a good pitcher, but it's the same game. You have to throw the ball to home plate for a strike to get us out." Tillman allowed two runs in five innings before Andrew Miller got five outs _ three by strikeout. Darren O'Day gave up an eighth-inning homer to Miguel Cabrera, but the drive followed a double play. Orioles manager Buck Showalter then called upon closer Zach Britton, who had 37 saves during the regular season. Britton got the last out in the eighth, and by the time the ninth inning rolled around, he wasn't needed anymore. Miller had a 1.35 ERA in 23 games with Baltimore, O'Day finished at 1.70 and Britton closed at 1.65. That's one big reason why the AL East champion Orioles were 80-4 when leading after eight innings. Meanwhile, Detroit's revamped bullpen looked shaky -- although it was shortstop Andrew Romine's error that got the big eighth inning going. "I can't remember the last time he made an error at shortstop," Tigers manager Brad Ausmus said. "This was an unfortunate one, but it doesn't change my mind on him as a shortstop." Although he had a 5.56 ERA in the first inning during the regular season, Tillman began his initial foray into the playoffs in impressive fashion by striking out the side on 14 pitches. Cruz hit an opposite-field drive to right in the bottom half after Nick Markakis hit a leadoff single. It was Cruz's 15th postseason home run, tied with Babe Ruth for 10th place on the career list. "It's just, I like to enjoy this moment, you know?" Cruz said. "I think as a player, you want to be in the situation." The rollicking, towel-waving fans had barely settled down when Victor Martinez led off the second with a towering shot over the right-field wall. Four pitches later, J.D. Martinez hit a tying homer in his first postseason at-bat. Markakis answered with an RBI single in the Baltimore half. At that point, six of 10 batters had reached safely against Scherzer. After yielding the back-to-back homers, Tillman retired the next 11 batters before Romine singled with two outs in the fifth. Another single and a walk loaded the bases for Torii Hunter, who hit into a fielder's choice on Tillman's 105th and final pitch. Afterward, Showalter saluted the crowd for its enthusiasm. "If you don't get that, you're too cold for this game," he said. "I wish I would have had a towel."